RasGas Company Limited is a liquefied natural gas (LNG) producing company in Qatar. It is the second-biggest LNG producer in Qatar after Qatargas. RasGas operates seven LNG trains located in Ras Laffan Industrial City. RasGas also operates helium plants which produce 25% of the world's helium, and make Qatar the second largest helium exporter. 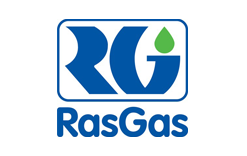 RasGas was established in 2001. The chief executive officer of the company is Hamad Rashid al Mohannadi. Appropriate degree from a recognised law school. Commercial knowledge related to upstream oil and gas industry, preferably gained through working for 5-10 years with multi-national companies is an advantage. Around 5-10 years experience working as a transportation/commercial lawyer. Fluent in English language (demonstrated verbal and written skills). Law Degree from an accredited university; preferably with an LLM in Law. Minimum 8-10 years’ experience gained in upstream/downstream energy sector, with some litigation/arbitration exposure. Supervisory work experience is preferred. Full membership of a recognised professional body.